Black Ops 4 marks 10 years since Treyarch introduced players to Zombies with 2008’s Call of Duty: World at War. This year, the community was hyped for the ambitious amount of undead content available at launch. Black Ops 4 had three standard Zombies maps and an extra DLC one, plus lots of other features and options. But the plethora of maps and modes also came with more issues than ever before. Blue-screen crashing has been affecting the game across all maps and platforms. Adding insult to injury, the frequency of these crashes seems to intensify once players reach higher rounds in the survival mode. Doing well at the game comes at a high risk of wasting hours of time just for a blue screen. There have been a series of patches claiming to improve stability in Zombies, but in my experience, none of the updates have fixed crashes for high-round matches. Zombies seem to become the most unstable once you pass Round 30. 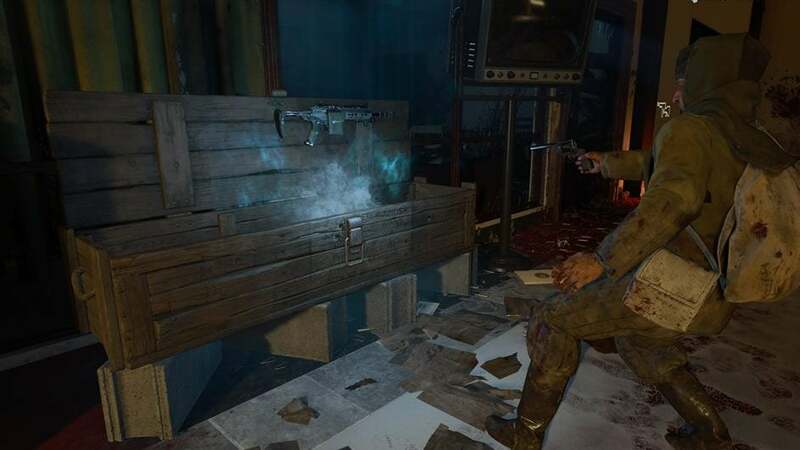 This creates a difficult task for the dedicated Easter egg hunters, who devote so much of their time trying to solve the complicated secret quests with which Zombies maps are almost always infused. It’s been so disheartening to watch my favourite Zombies streamers put hours into a match just to be doomed with a late-round crash. The Easter egg from the DLC map “Classified” has been particularly tricky to find because it requires a high round survival before players can finish and unlock the ending cinematic scene. Classified, a remake of Black Ops 1’s Five map, requires players to reach Round 150. The community has been very outspoken about the blue screens, but Treyarch never informed players that this egg would be all but unsolvable with the state of the mode’s instability. A team of YouTubers resorted to various glitches and exploits to make the game think they were in higher rounds, or tweaking rules to spawn hellhounds instead of zombies, thus becoming the first to unlock the final cutscene. You can watch the cutscene here, where YouTuber TheGamingRevolution reveals the cinematic in the Zombies’ cel-shaded cartoon graphics mode—this, he says, also reduces the risk of crashing. The Revelations map from Black Ops 3 previously held the record for longest Easter egg, taking players nine days to solve. This was due to the sheer complexity of the quest steps. Classified would likely not have even come close to that record if player’s attempt wasn’t a disastrous blue screen just waiting to happen. The 6 November update has now specifically addressed crashing in another map, “IX,” but Classified’s issues were not mentioned. However, Treyarch released a statement to the community on November 7 to ensure players that game stability remains its number one priority, and the updates would contain more transparency going forward. Personally, I’ve been casually levelling up and unlocking camos for my guns, patiently waiting for the game patches to properly stabilise all the Zombies maps. I hope to eventually take a crack at the Classified Easter egg myself, but for now Blackout and multiplayer are the better choices for enjoying your time with Black Ops 4.